The latest data published this week by mobile app analytics firm Distimo and provided to AppleInsider reveals that the top 200 grossing applications in the iOS App Store in April earned $5.1 million in revenue per day. That's a number 4.6 times higher than the $1.1 million per day earned by the top 200 grossing applications on Android's Google Play marketplace. 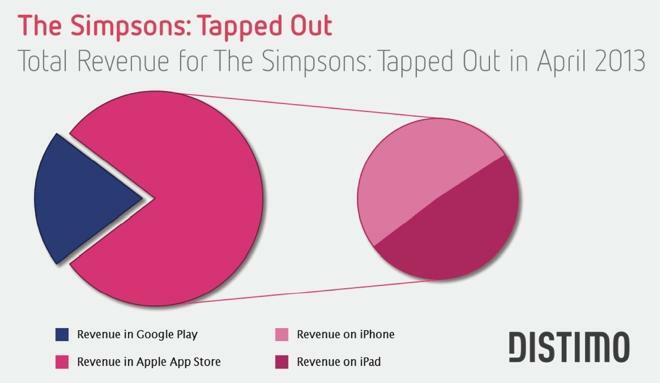 In one illustrative example of Apple's dominance, Electronic Arts' The Simpsons: Tapped Out earned $4.8 million combined in the month of April. Of that revenue, 79 percent came from the iOS App Store, while the remaining 21 percent was a result of gamers on Android. 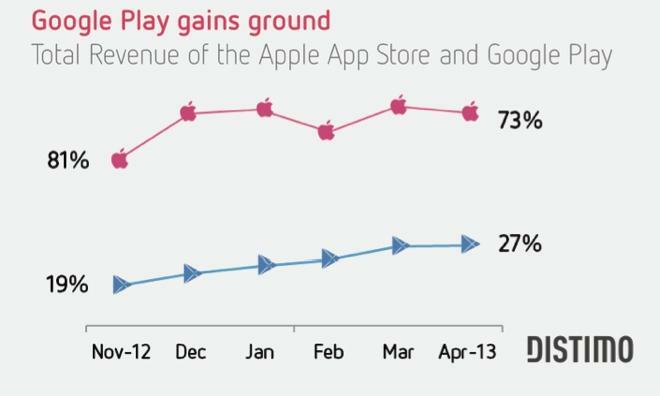 But the data also shows that Google Play is gaining ground. While the Android storefront accounted for 19 percent of combined revenue in November of 2012, that share went up by 8 percentage points to 27 percent this April. 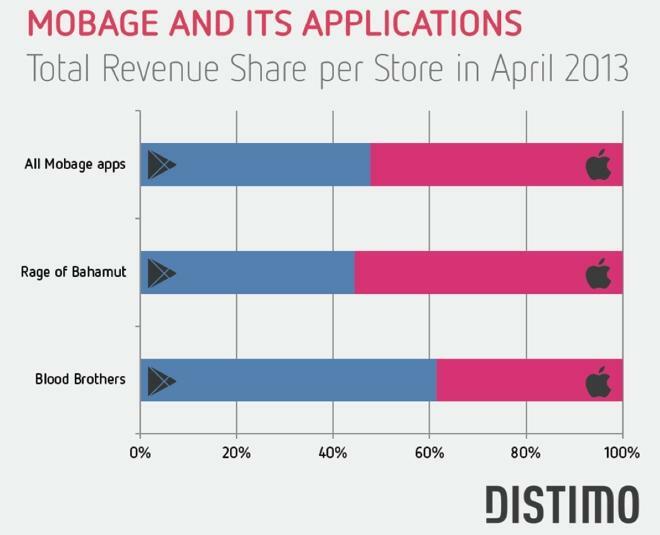 As an example of this trend, Blood Brothers by developer Mobage earned $1.8 million combined in April, and 61 percent of that revenue came from Google Play. The remaining 39 percent was generated by customers from Apple's App Store. In other, regional examples, World at Arms by Gameloft earned more from Android than iOS in large countries in Europe, such as the U.K., as well as across Asia. And WhatsApp Messenger, a popular networking client, took in more revenue on Android than iOS in Germany, Italy and Spain. "Although the vast majority of applications still generate more revenue in the Apple App Store than Google Play, there appears to be a great opportunity in Google Play in terms of revenue," Distimo said in its conclusion, noting to developers that "localization is the key."